Specially designed to meet your modern lifestyle. 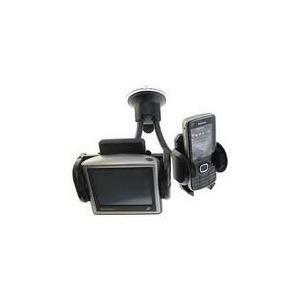 Ideal for people on the go who need there sat nav, pda or mobile to be secured safely and in view. Why spend money on two separate holders. 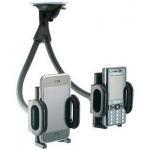 Fully adjustable to fit a wide range of devices. Fully adjustable arm to be angled in the correct direction. Hi they are the same holder one holding a phone and sat nav the other holding two phones. Hi Is this product suitable for a Mio Spirit 685 and an iPhone 4? Hi does it take a Mini USB type charger ( a Rectangle with two edges curved in) ? If it does then yes this is the correct charger. 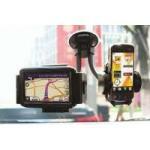 Will twin car holder take an iphone5 as well as a Garmin nuvi 200? Hi yes it should do. Would it hold a Garmin Nuvi 2595LM Sat Nav and an i-phone5?? would it hold a Garmin Nuvi 50 Sat Nav ? Hi yes it would do. Hi yes it will do but not the XXL ones. Would it hold a NavMan S30 3D and an I-Phone? Hi yes they would do. 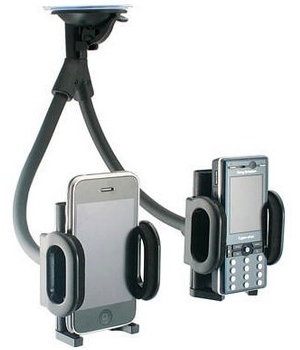 Will a garmin 1390t and an iphone 4 fit this holder?